Q: When will this movie be released in Australia? Why did I want to see this movie? Your guess is as good as mine. I guess that I really want to review things and just watch any movie chosen out of a hypothetical hat just so I can review it regardless. Is this movie about horses worthwhile family entertainment? In my eyes it can be. The plot is that Moondance Alexander (Kay Panabaker) is a 14 year old girl who has trouble fitting in and has to cope with the death of her father. She has a part time job delivering supplies to stables and on the way to her latest delivery she finds a horse who escaped from their stable and they form an instant connection. After the horse is returned she proposes a deal with the owner of the stable, Dante Longpre (Don Johnson), she will work for him over the summer break and she can ride the horse, who she named Checkers. Over time, Moondance (Who names their child Moondance?) bonds with the horse. After finding out Dante was a pretty good horse jumper (I hope that's a correct term!) in his day, she decides to enter Checkers in a contest for jumping horses. So what is there to complain about with this movie? How about THE SOUNDTRACK! I mean every other complaint that will be brought up in this review was at least tolerable but the guy who did the music seemed to have the song selection be from EVERY SINGLE LIVE ACTION KIDS FILM OVER THE PAST 10 YEARS. 10 minutes in and it annoyed the crap out of me. It even broke the ice in what was intended to be the most emotional scene in the movie. Another complaint I have with this movie is that Moondance should have been shown grieving over her father's death just a bit more. I know it's meant to be for kids but the scenes where this does happen are too few and far between in this movie. Aside from that everything to complain about is minor. 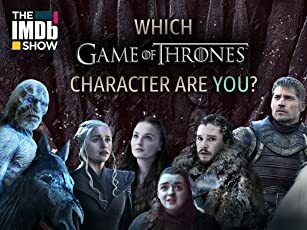 I mean yes - the movie is predictable, yes - the characters intended to annoy succeed beyond their wildest dreams, yes - the story and plot points are slightly contrived. I really don't see a major problem in them because once taken away, this movie can stand on it's own pretty well. Aside from that, I'll go for the compliments. Kay Panabaker can act really really well. Everyone does a decent job (in some cases you have to consider the material they were given - for example the villains) but Panabaker was the stand out. I also like the message of this movie. Basically the message is "be yourself and overcome your obstacles". I know what you're thinking "In your previous review you criticised something for having an unoriginal message, what makes this so different?" The answer is that in my opinion this actually gets the message across in a fresh way that isn't contrived. So aside from those 2 I did enjoy the directing and the writing (although that does get a little weak around the end). They do a good job here getting a rather contrived story about inspiration and the odds being against the heroes but coming out on top while still keeping it fresh. So would I recommend this movie as family entertainment? Yes. I am not in the target audience for this movie (I'm a 17 year old boy) and I found something in it that was complimentary. 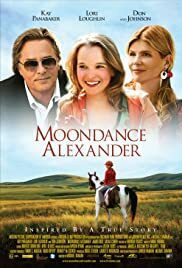 So if you want some family entertainment for your child (I know I shouldn't be stereotyping but preferably female) which you can also enjoy then pick up Moondance Alexander. For a person like me, call it a guilty pleasure.